Real estate development has one of the worst reputations in customer service. Developers are largely resented by the people they are supposed to be serving, as development is financed by a single bottom line, missing not only social and environmental values, but a sophisticated representation of its stakeholders. 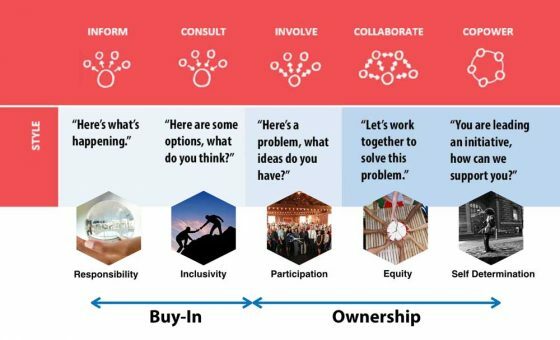 To gain not only the support of the stakeholders, but their enthusiastic investment, developers need legitimate stakeholder buy-in followed by sense of ownership. However, this next generation customer service approach, as utilized by the likes of Google, Airbnb, Amazon, Uber and Facebook, isn’t a consideration in any current real estate development business model. The solution is a sophisticated team that is able to legitimately respond to what customers/stakeholders need and want in real time, as demonstrated by the aforementioned and fastest-growing business models today: Google, Airbnb, Uber, Amazon, Facebook. This legitimacy is measured both quantitatively (number of relationships) and qualitatively (deepness of relationships), and based on whether people feel the system is fair, predictable and their voices are heard. If the system is deemed legitimate, the public will be resilient in their support, municipalities will accelerate entitlement, institutions will invest and stakeholders will transact (buy, own, lease), significantly increasing property values and collective investment by the community (see diagram to the right). By serving the customers/stakeholders, we serve the community, thus creating social impact – significantly and organically. the further their support, brand loyalty, commitment, investment progresses. See chart above: They move from ‘Buy In’ on the left, to ‘Ownership’ on the right, and within ‘Ownership’, from ‘Involve’ where they feel a core value of ‘Participation’ in the development, to ‘Copower’ where they are taking an active investment leadership position, feeling a core value of ‘self determination’. The realization of these values accelerates entitlement, attracts investment, and induces transactions, increasing property values and the bottom line. This generates significant social impact because these efforts are generated from the community. The image is based on the International Association for Public Participation Spectrum of Public Participation.